Gong Hei Fat Choy! Come and celebrate the Chinese New Year Fair on February 16 – February 17, 2019 at San Diego Chinese Historical Society and Museum. See you there! 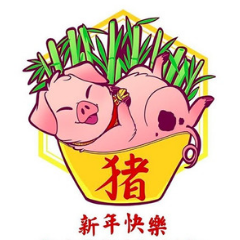 Celebrate the Year of the Pig with 15,000 of your closest friends at the 2019 Chinese New Year Fair, taking place on February 16th & 17th (3rd Avenue and J Street) in San Diego’s historic Chinatown district! We will have traditional and cultural entertainment all day long on both days, LION DANCES, kung fu, traditional instruments, classic Chinese dances, and so much more! We will also be featuring a very special Chinese Acrobatic performance on both days, so don’t miss out! No passport or plane ticket needed – it’s all right here. 2019’s fair is being presented and hosted by the Chinese Consolidated Benevolent Association of San Diego. Please visit sdcny.org for more details.